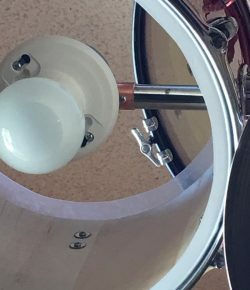 Got an old drum set that’s only collecting dust at home? Then why not give it a new purpose by turning it into an awesome chandelier! This upcycling idea is perfect for musicians and music lovers out there, who would love a musical theme for their interiors. Of course you can also do this project if you simply want to replace your existing lighting with something that’s a whole lot more interesting than the usual lighting fixture. 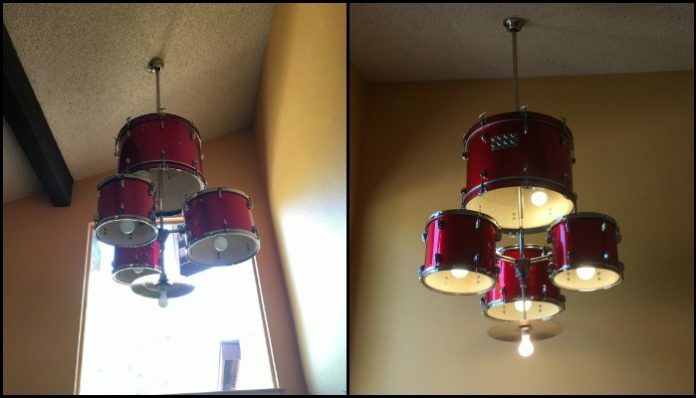 This drum set chandelier is made using a full-size drum kit. But it’s one of the cheaper brands, so weight was not an issue. It’s as heavy as the ceiling fan it replaced, hence the owner-builder was able to use the existing mount for installing his new DIY chandelier! 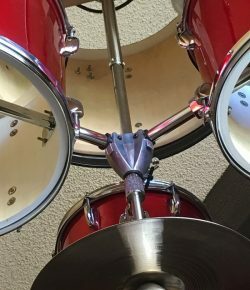 Here’s a tip: check Craiglist or GumTree for junior drum kits if you are concerned about the weight of a full sized kit. 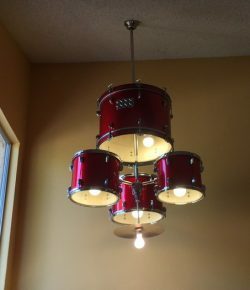 There are many ways to turn an old drum kit into a chandelier It would depend on the materials that are available to you. You also have to consider the final weight of it. 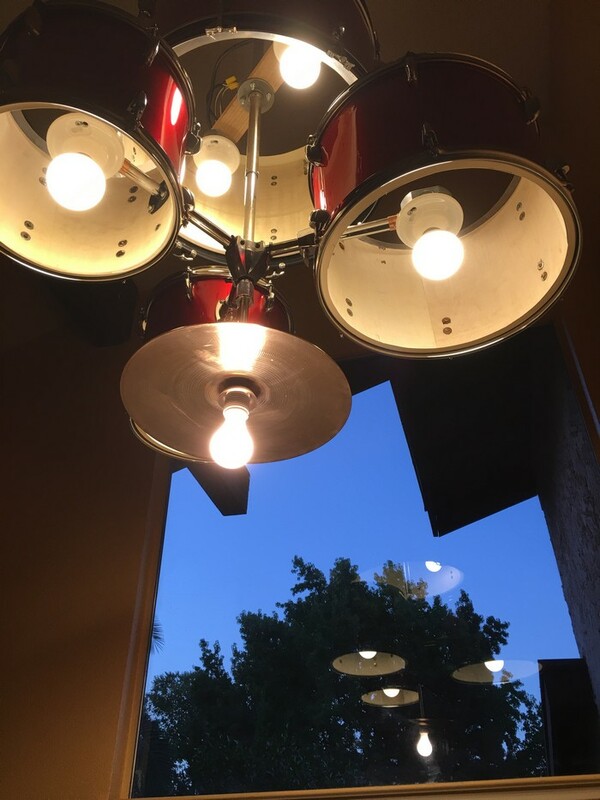 If you want to know further details of this project, you can learn how from the DIY-er who built this drum set chandelier by heading over to the link provided below. Do you know someone who would love this idea too? You can get step-by-step instructions from icabod over at Instructables! Next PostHide your trash bin by building a tilt-out trash cabinet!